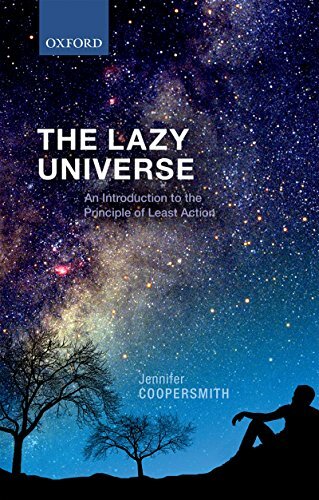 I've now completed Jennifer Coopersmith's good-to-excellent book which talks about the principle of least action, Lagrangians, the calculus of variations and so on in the style of the best tutor you ever wanted to have. I can't do better than this review from Lee Pavelich. "I really enjoyed this book. The principle of least action is one of those great gems that bears returning to again and again. One of my pet pursuits is finding more and better explanations for the age-old question “Why is the classical Lagrangian kinetic minus potential energy?” (see here for example for my attempt to understand it a bit better in the case of gravity). Coopersmith devotes Section 6.6 to that very topic. The Lazy Universe is structured by beginning with some historical material and some mathematical preliminaries (advisory note: you do need to know vector calculus to really profit from this book). Then we march from the principle of virtual work, to D’Alembert’s principle, on to Lagrangian mechanics and then Hamiltonian mechanics. Unlike Susskind’s popular classical mechanics book Coopersmith doesn’t address Poisson brackets. I really like the structure and how she builds from one chapter to the next; I certainly did not sufficiently appreciate the point of virtual work and D’Alembert when I took my classical mechanics class. In the penultimate chapter there’s a survey of how the principle of least action takes its form in other branches of physics. I’m just not sure who this book is for, exactly. Much of the mathematical nitty-gritty and nearly all the examples are pushed to a multitude of appendices, which makes it annoying to flip back and forth if you want the full story. This was done I think so that less mathematically-adept readers could enjoy the main thread of the argument, but that still requires knowledge of the variational calculus (for example, the Euler-Lagrange equations are not derived like in Susskind’s book). So I would recommend this to people for whom this is their second (or third, etc) pass at analytical mechanics." You really do have to know multivariate calculus (partial differential equations), vector calculus and have some exposure to the calculus of variations however. Coopersmith doesn't shy away from the equations. There is a wealth of historical motivation here for why the whole counter-intuitive Lagrangian-Hamiltonian project got off the ground (incredibly useful!) and the author attempts to make concepts like (T-V), action and least-action plausible. The extent to which she is successful is the extent to which these abstractions are intuitive at all. That they work is the minimal answer. I was glad I worked through Coopersmith's book, although it's hardly a page-turner. I was motivated by the fact that you cannot engage with QFT or the particle physics underlying the standard model without travelling the Lagrangian path. 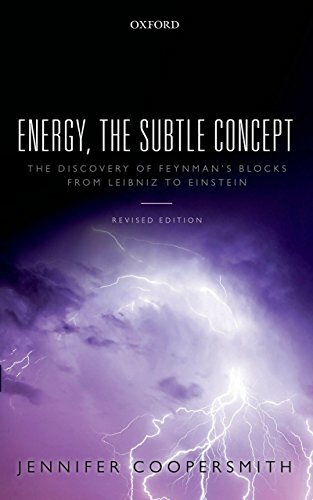 Jennifer Coopersmith also has a book about energy which I may well take a look at later ..
"Interesting book. I was wondering what its explanation is of why it refers to "Least Action" when the mathematically correct form is "Stationary Action". I understand that the book has something to say on this." Yes, there's quite a lengthy discussion which makes all the right points.